Nintendo has put a health and safety notice on its website stating that the new 3DS handheld – due for release early next year – is unsuitable for young children. The 3D visuals which the device makes possible could damage young children's eyesight, the games company explains. Nintendo issued the following statement on its Japanese website, explaining that kids under the age of six could suffer from stunted eye development as a result of using the 3DS. 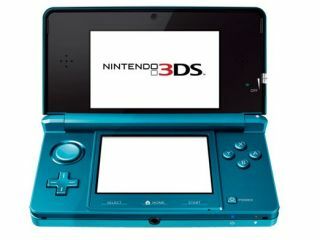 The 3DS will come equipped with a parental lock which will allow parents to turn off the 3D feature. Nintendo also advises gamers to rest every 30 minutes in order to not cause undue stress on the eyes. The Nintendo 3DS is rumoured to be launching in the UK on March 18, priced £200. Nintendo is still to confirm or deny those particular rumours. The company is planning a number of press events in January in Amsterdam and New York, where we expect to hear more on the plans for the 3DS launch, as well as getting hands-on time with the launch line-up of games for the new handheld. The 3DS allows gamers to play games without the need for unsightly (and costly) 3D specs, with a number of Nintendo's publishing and development partners already preparing some major AAA-titles for the console.